For those of you who haven’t been following, Katie and I are working to complete the “50 by 30” challenge, where we will see all 50 states by the age of 30. This weekend, we decided to knock out Michigan and Wisconsin in a very short burst of time, since I have to ration my vacation time carefully. Michigan was actually the only state that I had been to and Katie had not, but both of us really wanted to make a point of seeing Detroit. We flew in on Friday night, arriving just in time for a late dinner. We picked up our rental car (Dollar Car Rentals lets you choose your own car! 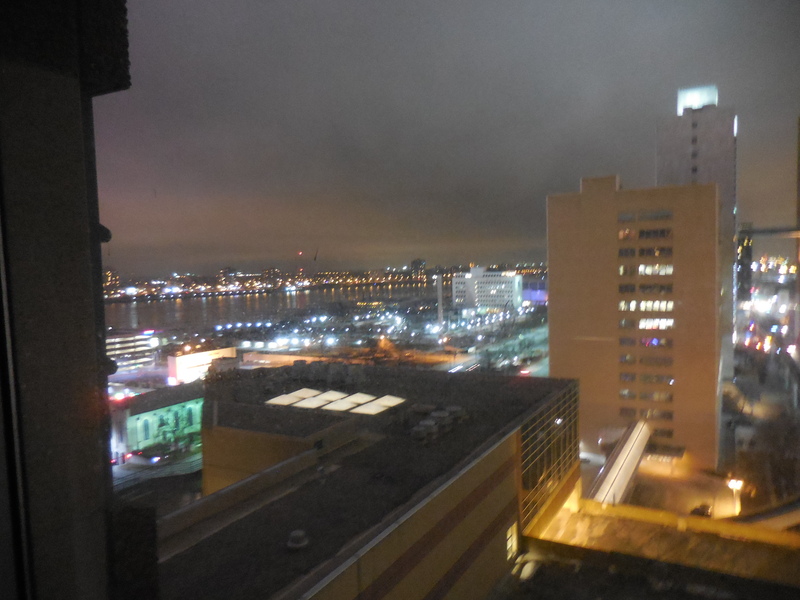 This was like winning the road trip lottery) and quickly checked into our downtown hotel. Our Courtyard by Marriot room, by the way, cost a mere $110. This was negligible considering the fact that it sat right along the waterfront, and sported a fantastic view of downtown, as well as Canada, which sits only a 10 minute drive from our room. Detroit has a ridiculously rich history in music. Since Katie is the live-music junkie that she is, we wanted to find a good place to grab some drinks and hear some jazz. Unfortunately, from what I was reading, much of Detroit’s best local music spots sit inside of not-so-great neighborhoods. I’m from New York, and I’m always open to venturing off the beaten path to find a place that truly speaks to the character of a city, but we knew that we had only a limited time period to scope out our surroundings and ensure that we were not diving into an unknown neighborhood haphazardly. Because of this, we decided to try a place that wasn’t far from downtown and received rave reviews online—Café D’Mongos. We hopped on the “People Mover”, which was the closest humanly possible contraption to a NYC subway. It runs in a 3-mile loop above ground like a monorail, but appeared surprisingly empty despite the fact that it was Friday night. 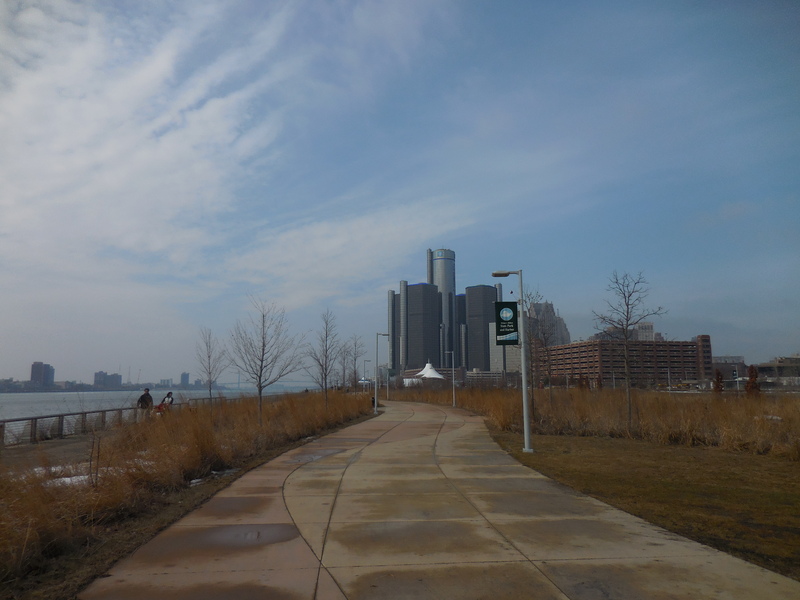 In fact, one of my first observations of Detroit as a city was the shockingly desolate feel of the streets, even in the main area of downtown. While the bar was only a few blocks from the People Mover stop, we didn’t see a single other person until we were right outside the doors. As soon as we walked in, we were cheerfully greeted by the hostess, who told us that there were no free tables but that we could grab a drink and wait for one. The bar was jam-packed, low-lit and super narrow, but it felt instantly local. A piano and drum set sat in the corner and the walls were lined with music-themed décor, which did not feel in the least bit kitschy. After hanging around for a few minutes, the hostess found us and sat us in the back with large, cushioned armchairs surrounding a little wooden table. The only option for food was to text our order with table number and details to a neighboring food joint that worked alongside Café D’Mongo’s. I had a super tasty pressed sandwich with pulled pork, black beans, Canadian bacon and pickles between crispy grilled bread. It was hearty and filling, with just a little acid from the pickle. After making friends with the group sitting beside us, who happened to be a hostel owner and two of his guests (one who was from Argentina), we were greeted by the exuberant and friendly bar owner, Larry, who was walking around and shaking everybody’s hands. The hostel owner, a local, told us that most of the decor on the wall was collected by Larry himself over the years. The band began to play and we sipped away through cocktails as we talked about travel with our new “friends”. Back on the People Mover and at our hotel again, we were feeling antsy for just one more drink (story of our lives?). After discovering that the hotel bar had closed at midnight, we were just about to head upstairs in total defeat when the security guard informed us that there was a great bar just a block away, Sweetwater Tavern. Not only this, but he was more than willing to walk outside with us, around the corner, and personally show us exactly where the bar was located. It’s moments like this when I remember that I’m not in New York. 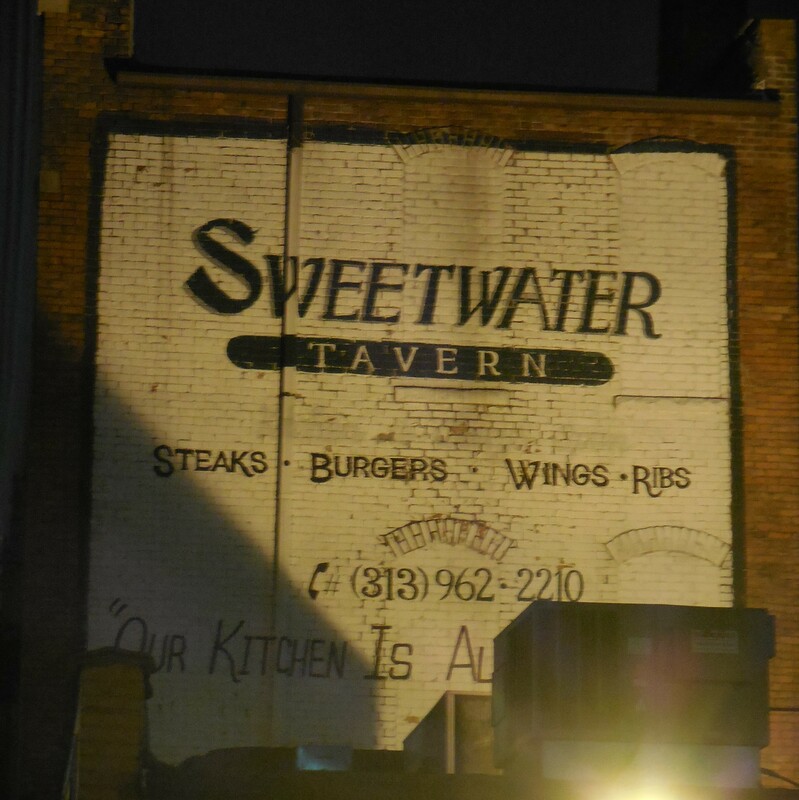 Sweetwater was a super local spot, with a friendly bartender and a bustling crowd. We heard that they were famous for their wings, so we put in an order to go as soon as we sat down. After a quick beer, we took our “second dinner” back with us and devoured some of the best wings I’ve ever had. Spicy wing sauce was caramelized into the breading like a bit of buffalo heaven, and we crashed in a mound of exhaustion as soon as the last of the bones was cleaned dry. The next morning, we chose to start the day with a considerably un-adult breakfast of “coney dogs”, for which the area is famous. 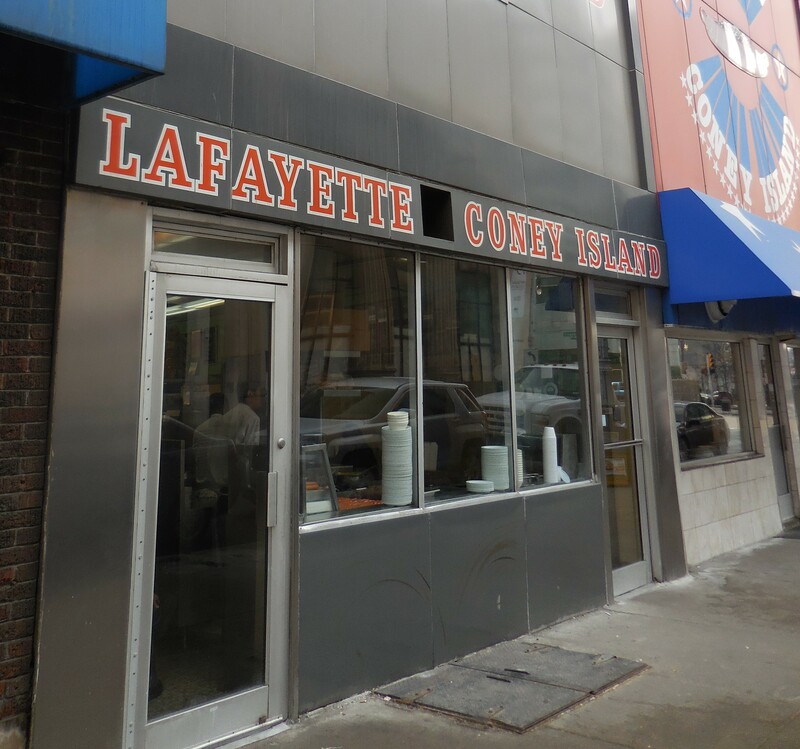 Lafayette Coney Island and American Coney Island are two old-school hot dog joints that exist in bitter rivalry. 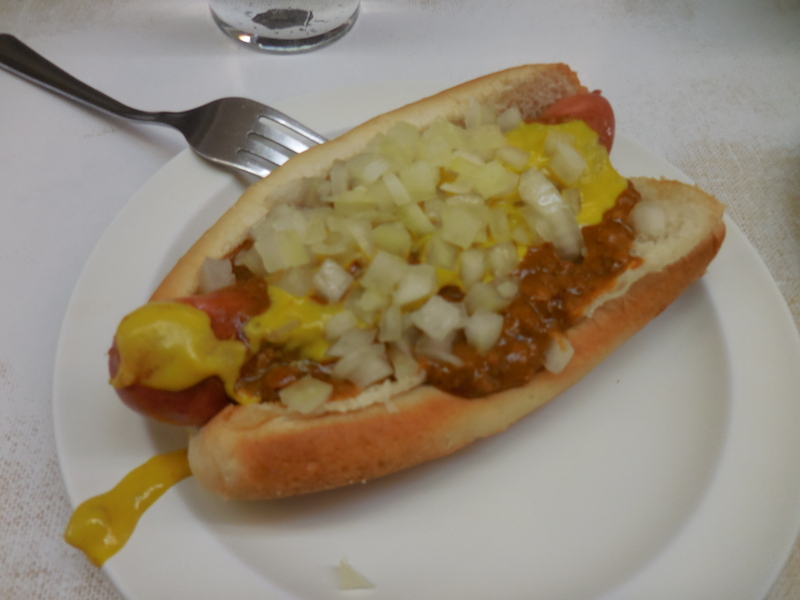 We chose to side with Lafayette, once featured on Man vs. Food, and they made a pretty bangin’ “coney”. The dog was nicely seared and was covered in a fantastic homemade chili, onions and Dijon, served with a fork—for when you make too much of a mess trying to eat it the normal way. This took me all of 12 seconds. The old school feel of the 1960’s style counters made the experience that much better. 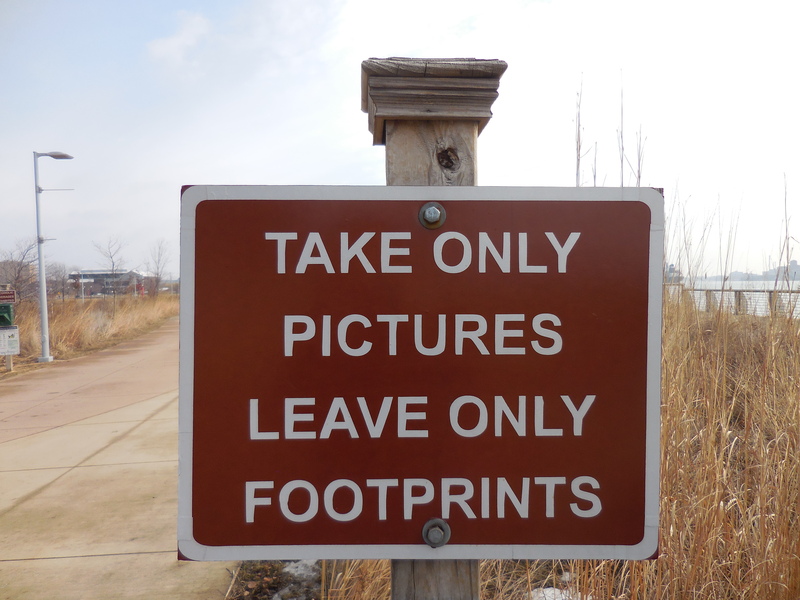 Afterward, we took a quick walk along the waterfront to snap some pictures. 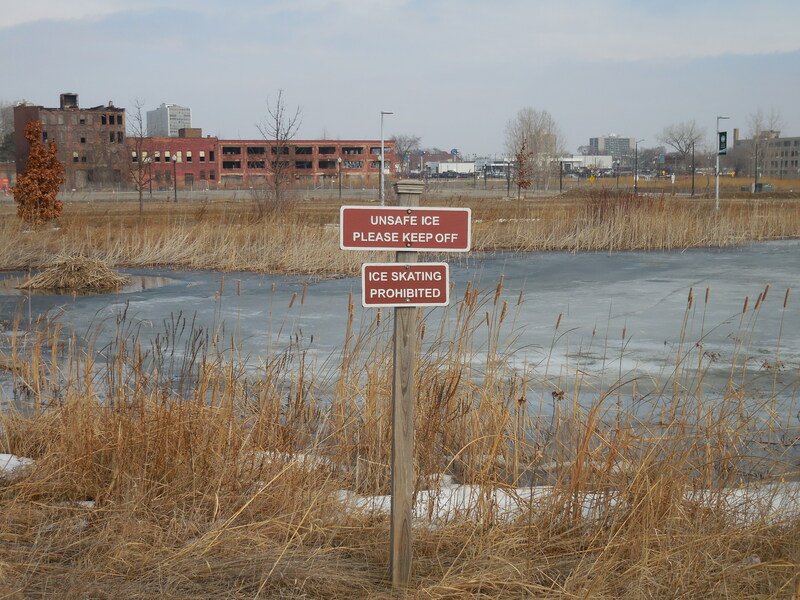 I continued to notice the strange and bracing variation of Detroit’s streetscaping. One half of any given block is new, restored and maintained, while another half of the same block could contain a huge, bombed out building that is riddled with graffiti. It’s clear that the city is attempting to change public perception and bring itself back to life, but it was eerie to see how quiet the streets remained regardless of these efforts. I think that it’s a testament to the fact that tackling the aesthetics, or “broken window” issues, will not be enough to get the city out of the economic turmoil that it’s in. With such an incredible history, I think the people who live here deserve a great deal of respect for the struggle they face to maintain their lives and preserve the richness of their culture there. I can’t say this with certainty, but I feel that if locals are not feeling respected and encouraged during this process of “building up” the city, then the desired end result simply won’t be possible. I think this is probably easy to overlook when the task feels so grand. Our last stop of the day was the Motown Museum, where we took an amazing tour of the building where the Motown music scene began. We didn’t realize that nearly every major singer or group of this era had, at some point, passed through the famous Studio A. It stood small and unassuming, but still contained all original instruments, microphone stands, and decor. Our tour guide instructed us to sing a line from “My Girl” so that we could say that we sang in the same room as all the world’s greats. On our way out of town, we stopped at a mildly dicey looking “Motor City Soul Food” on 7 Mile Road. Food is served in an assembly-line fashion through bullet-proof plexi-glass windows that completely separated customer from server, including at the checkout area where you are given your food through a rotating window. Regardless of the way it looked on the exterior, the food was amazing. 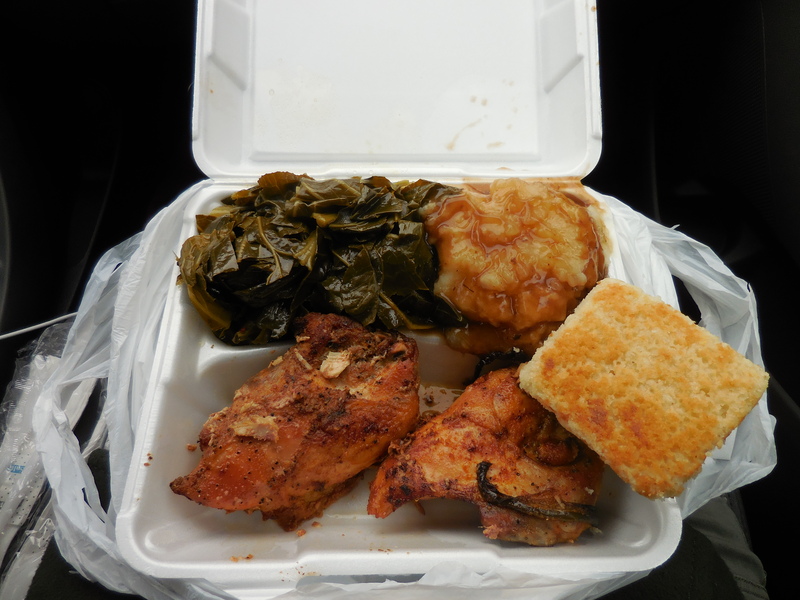 Collard greens, mashed potatoes with gravy, (the world’s best) corn bread, and baked chicken (the sides were actually the best part) to serve as our road food for the journey ahead. It’s been real, Detroit.